SQA - Scottish Qualifications Authority - Resources and information for teaching English as a Second or Other Language. ComInTrain - Vocational Skills resources. SATEFL - Scottish Association for Teaching English as a Foreign Language. Provide training and networking opportunities. IATEFL ESOL Special Interest Group - International Association of Teaching English as a Foreign Language - Training and networking opportunities. One Stop English - Macmillan English Teaching website with a large databank or resources for teaching English. Oxford University Press Teachers Club - Resources, training materials and opportunities for English language teachers. Cambridge University Press - Teachers area - Resources and lesson plans for teaching ELT. 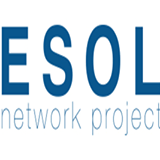 British Council - ESOL Nexus Project - lesson plans and resources for teaching English in the UK. Fun Fonix - Worksheets and printables for teaching phonics, reading and spelling to literacy learners. Skills Workshop - Free resources and printables for ESOL, literacy, numeracy and ICT classes. Teaching Ideas - Resources and materials for teaching handwriting, writing, reading, literacy, spelling, pronunciation and punctuation. TALENT - Training Adult Literacy, ESOL and Numeracy Teachers - Teaching resources, training and advice for teachers of Literacy and ESOL.